Have your team come out to see the IceHogs play during the 2018-19 season. 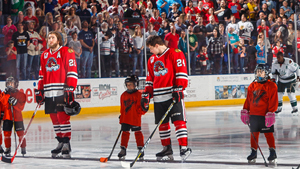 Help sell tickets prior to game day and then treat your Youth Hockey Team to an array of exciting activities throughout IceHogs home games, including Game Before the Game, Tunnel Team, Dream Team and Intermission Activities. A “Tunnel Team” is made up of a team who waits in the player tunnel for the IceHogs to come out to the ice. The “Tunnel Team” can stand with the IceHogs before a period begins then high-five the players as they go out onto the ice for the game (20 person limit). 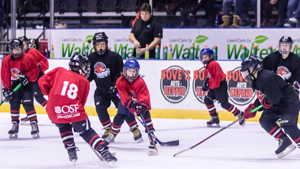 Have your team take the ice during the first intermission of an IceHogs game! 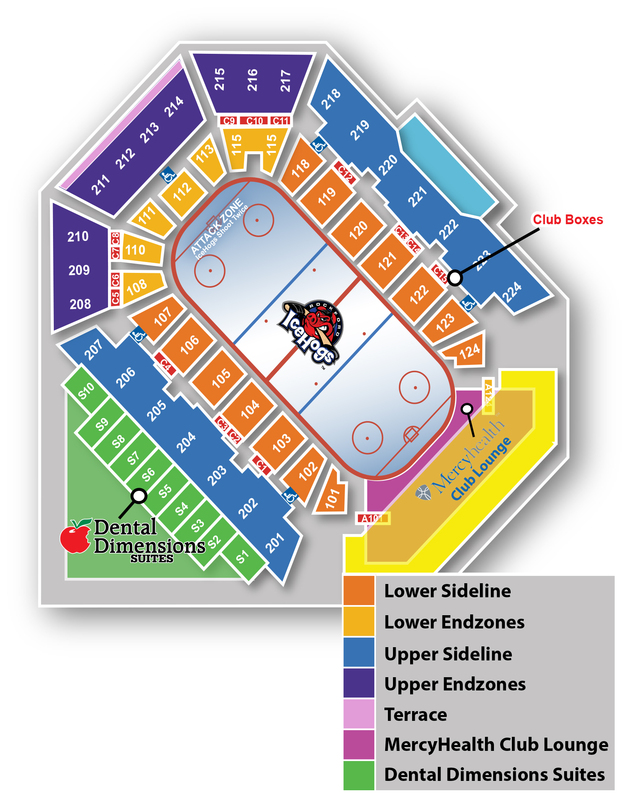 Your team will get to skate in front of a packed BMO Harris Bank Center. Teams can select to do a shootout, scrimmage or participate in a relay race out on the ice. Limited to 1 team per game. Your team will have exclusive access to use the BMO Harris Bank Center ice for an hour and a half before an IceHogs game. 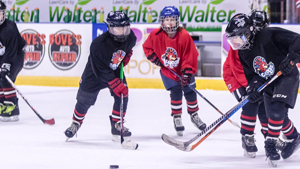 Teams can select to play a competitive game (score/time keepers and referees will NOT be provided) or use the ice for an open skate or practice. The games will include a five minute warm-up and three 20-minute periods with a running clock. Changing areas will also be provided. Sign up to do a ticket fundraiser through the IceHogs and get a group of 50 or more to purchase tickets at $15 fundraising price and automatically receive $5 back on each ticket sold. Do you know a hockey player under the age of 18 who shows leadership, sportsmanship and has a positive attitude on and off the ice? Someone who is a goal scorer and/or a goal stopper? Or know someone who is simply dedicated and passionate about playing the game of hockey? Then please nominate that person to be our “Easterseals Youth Hockey Player of the Game”! “The Easterseals Youth Hockey Player of the Game” will be recognized at a Rockford IceHogs game during the 2018-19 season. The winner will receive four (4) tickets to an IceHogs game, signed puck and also be a part of the countdown before the players hit the ice! Extra tickets can be purchased at a discounted rate. The winners will be contacted by the IceHogs to finalize the game date.